Last weekend finally felt like spring in Minnesota. It was just about 60°, the sun was shining, and fresh air poured in through our windows. My husband and I went for a long walk outside and I felt like a bear coming out of hibernation. It’s sure been a long winter of endless snow and cold temperatures, but I think the end is near (at least I hope! I just heard talk of a possible winter storm later on this week?!). I can’t complain too much though; we recently escaped to Puerto Vallarta, Mexico and spent 5 days doing absolutely nothing besides lay on the beach and read. It was so nice to get away, relax,and soak up the sun! As soon as it starts getting warmer, I immediately think about transitioning from winter comfort foods to lighter meals and of course grilling and the first batch of homemade mojitos. I also look forward to recipes that don’t require the use of an oven, especially dessert recipes. That’s why when I made up these pumpkin pudding parfaits the other day, I immediately thought it would be a great summer recipe. Not only are they light and flavorful, they can be made up minutes before dinner or a day in advance. Start by pouring half of a vanilla instant pudding mix into a medium-sized bowl (I only wanted to make up 3 servings, but you can use the whole mix and double the remainder of ingredients if you’re making 6 servings). Slowly pour in 1 1/2 cups milk and whisk together until smooth. The pudding will begin to thicken and set in just a few minutes. 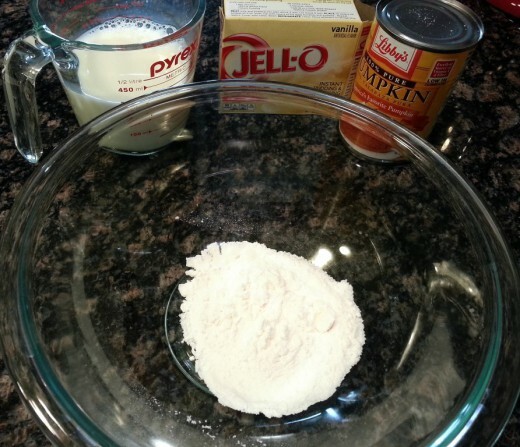 Once it thickens, mix in 1/2 cup pumpkin and stir. Gently fold in 1/2 cup of homemade whipped cream. Reserve the remainder of whipped cream for the parfait assembly. Once the whipped cream is incorporated, it’s time to start assembling the parfaits. 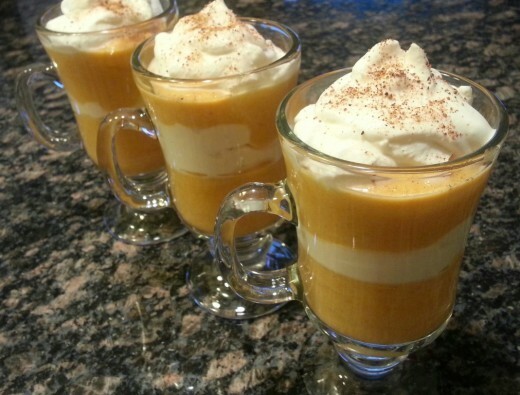 I love using my Libbey coffee mugs for serving because they show off the pretty stratification of pumpkin and whipped cream while adding a fancy touch. The layers in each parfait are as follows: pumpkin pudding, whipped cream, pumpkin pudding, and whipped cream on top. 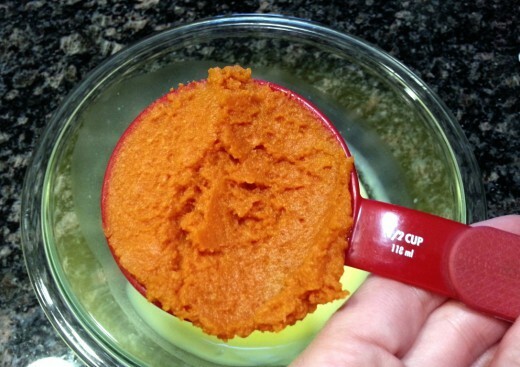 In more detail, place one large spoonful of pumpkin pudding in the bottom of the glasses. Next, divide the remaining 1/2 cup of whipped cream in half. Distribute the first half of the whipped cream between the glasses and place on top of the pudding. 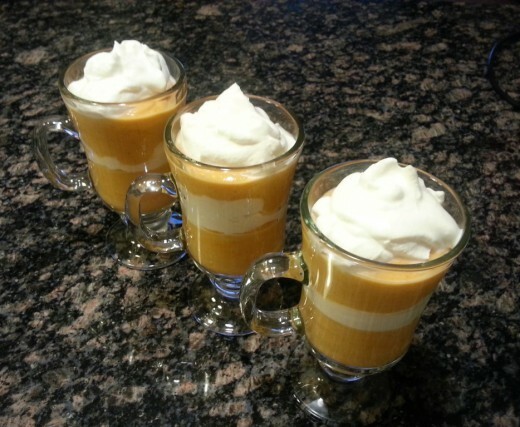 Add one more layer of pumpkin pudding on top of the whipped cream, then top each glass with the final half of whipped cream. Sprinkle a dash of nutmeg on top and you are ready to serve and enjoy! 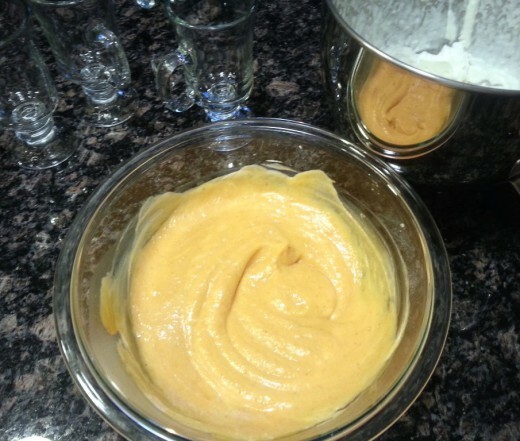 In a medium-sized bowl, whisk together pudding mix with milk. 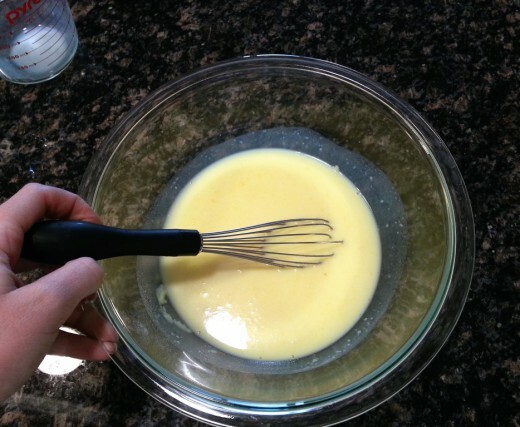 Keep whisking until pudding begins to thicken. 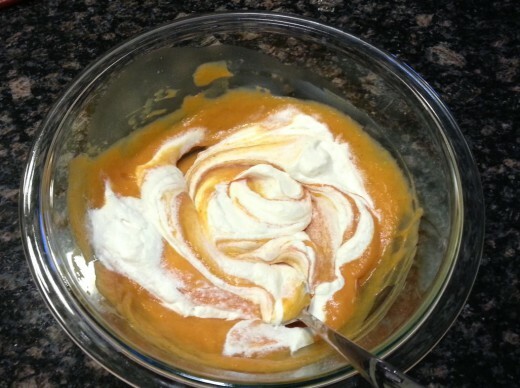 Stir in pumpkin, then fold in 1/2 cup whipped cream. 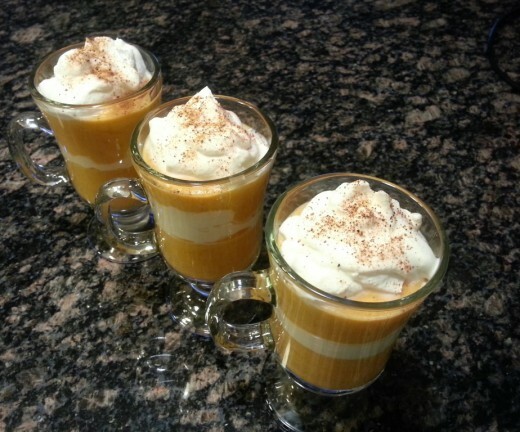 Place one large spoonful of pumpkin pudding in the bottom of three clear glasses. 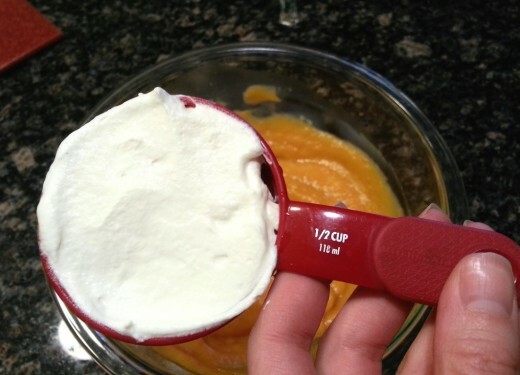 Next, divide the remaining whipped cream in half. Distribute the first half between the three glasses on top of the pudding. 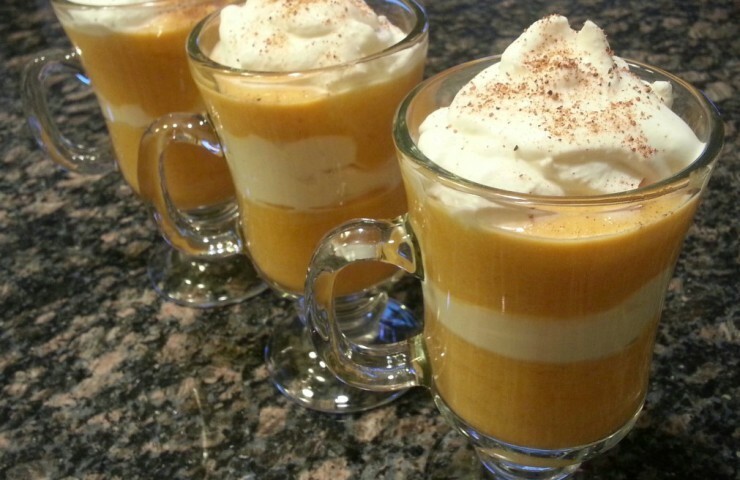 Add one more layer of pumpkin pudding on top of the whipped cream, then top each glass with the second half of whipped cream. Sprinkle a dash of nutmeg on top and serve.